I begin by paying my respects to members of the Gadigal of the Eora Nation as the traditional custodians of this place we now call Sydney. It is proper that I acknowledge the different Aboriginal groups when I travel to various parts of Australia because it should never be forgotten that our people have lived here for over 65,000 years. In those days Australia was a truly liveable place for our people. So, thank you very much for the warm welcome Julia and to RANZCOG for inviting me to speak today. It was important to hear from Minister Hunt, to listen to Professor Baum articulate the social determinants of women’s health and Professor Gannon discuss the economic impact of women’s health. It is an honour to be asked to address an audience of 100 successful and influential women from the health care sector. Today this summit is an opportunity to highlight health challenges facing Aboriginal women today. To help them live healthier, longer lives, supported by better, more targeted health services across the nation. But first, I think this morning is an opportunity for all of us in this place to celebrate the contribution women make in our lives. It is important to acknowledge how far we have all come together over the last 100 years. The new medical technology now saves countless lives, the testing regimens are first rate, surgical care has been enhanced and women now have pathways to a multitude of careers and thrive in the health workforce. Some are even in positions of ‘real power’ to advocate for reforms. Now let’s be clear that Australia has a world-class health system, but not for all of us! Yes, I could mention issues around pay, promotion, mentoring, bullying and harassment but that’s not why we are here today! So, let’s focus today on the fact that health outcomes for Aboriginal and Torres Strait Islander women in Australia are a long way from those of non-Indigenous women. Whilst it is very flattering to be counted as one of the 100 influential women in this room. It is important that you know how I became the person I did. I know that my experience was gained from and influenced by my mother. She was the first medical person I knew. She cared for me and my family as a healer and she helped make me the woman I am today. Education just knocked off my rough edges! Now, let’s not forget that Aboriginal people invented Bush Medicine which they still use today. They had ready access to bush tucker and led a healthy way of life before colonisation. We still have remnants of our past practice that continue today like using traditional healers and have access to very advanced Western medical models of health care. I have had a long, varied and distinguished career in the Australian Public Service including as Deputy Secretary of Prime Minister and Cabinet, Centrelink and was the longest serving CEO of ATSIC. I was also the inaugural CEO of the National Indigenous Television (NITV). So, I know how to argue for a change in women’s health policy. I’ve had a lot of experience in dealing across bureaucracy, Ministers, budget cycles, developing public health initiatives and campaigns and essentially dealing with governments at every level in this country. 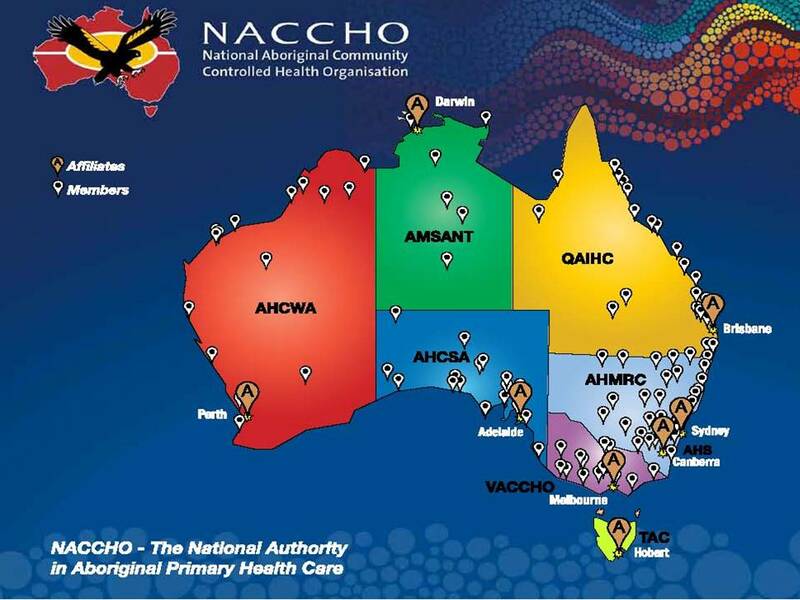 Now, NACCHO is the national peak body representing 144 Aboriginal Community Controlled Health Services in over 304 clinics and health settings. Our very first AMS started in Redfern and has 47 years of experience to draw upon. We provide about three million episodes of care each year for about 350,000 people which is provided by almost 6,000 staff. In very remote areas, our services provided about one million episodes of care. Over 50 per cent of the workforce is Aboriginal and we are working at increasing that. There are many gaps in our Aboriginal Community Controlled Health Services and their holistic approach in delivering comprehensive primary care to our people, no matter where they live. We are mapping those gaps. Our aim is to ensure full coverage for our people. We are funded by the Australian Government to support improvements in Indigenous health through the Aboriginal Community Controlled Health Services network and to bring the voices of those services into health policy decisions in Canberra. NACCHO is independent of, trusted by and offers a strong voice to the federal government for the provision of specific community sector health care needs for Aboriginal people that is controlled by Aboriginal people. This ensures a strong voice in policy work and participation in policy development and legislation advocating and dealing with the issues as they arise or as reforms are discussed. I coordinate 25 staff who sit on some 60 national committees and bodies. Historically NACCHO has a proud tradition and has developed over the last 20 years a strong coalition of support with other NGO’s working across a diverse range of areas. We offer an alternative point of view enhanced by years of dedicated experience. Aboriginal perspectives from our governing bodies and staff about culturally appropriate healthcare needs are admired and respected by government. According to the Australian Bureau of Statistics Aboriginal and Torres Strait Islander peoples represented 2.8 per cent of the population counted in the 2016 Census or 649,200 people of whom 326,996 were females. The median age of an Aboriginal is 23 years and only one in ten reported speaking one of the 150 Australian Indigenous languages at home. There were 18,560 births registered in Australia during 2016 (6% of all births) where at least one parent reported themselves as being an Aboriginal or about 2.12 babies per woman. Births to women aged under 30 years contributed three-quarters (73%) of the total fertility rate for Aboriginal women with the median age of 25.5 years when having their first child. This is important, especially when you realise that our Aboriginal population will increase to one million people by 2030. As many of you would know, the state of Aboriginal health continues to be cause for both national shame and requires national action. I’m still as frustrated as some of you are that we have not Closed the gap for Indigenous people, had meaningful reconciliation in this nation and enhanced Aboriginal women’s health. I believe there is no agenda more critical to Australia than enabling Aboriginal people to live good quality lives while enjoying all their rights and fulfilling their responsibilities to themselves, their families and communities. Aboriginal people should feel safe in their strong cultural knowledge being freely practiced and acknowledged across the country. This should include the daily use of our languages, in connection with our lands and with ready access to resources. Aboriginal people should feel free from racism, empowered as individuals and have educational opportunities, careers, and health services to meet their needs and overcome inequality, poverty and increase life expectancy. Now the Australian Government’s 2007 commitment to close the gap between Indigenous and non-Indigenous life expectancy within a generation was welcome. But the Close the Gap agenda did not deliver on a fundamental change to the way governments work with Aboriginal people. I want to be very clear that progress against the closing the gap targets is now stalling and, in many cases, is going backwards. I am also concerned that the Government is now shifting the focus to ‘prosperity’ targets, when we don’t even have the basic targets on track. The figures paint a staggering reality. The Australian Institute of Health and Welfare tells us that the mortality gaps are actually widening. No government can preside over widening mortality gaps and maintain goals to improve life expectancy and child mortality rates. On average Indigenous men and women die 15 years earlier than other Australians. Indigenous people suffer chronic diseases that are entirely preventable and have virtually been eliminated in the non-Indigenous population: trachoma, rheumatic heart disease and congenital deaths as a direct result of the current Syphilis outbreak across Australia, are but three examples. The Closing the Gap target to halve the gap in child mortality by 2018 is not on track. Our children are dying at almost three times the rate of non-Indigenous children and there is a clear disparity in birth outcomes for my people. So, we now all appreciate and understand that our services are on the frontlines of women’s healthcare every day. But of course, it’s not all bad news, NACCHO, its affiliates and our hardworking member services have had recent success with various national health programs. As you know Alcohol consumption during pregnancy can result in birth defects and behavioural and neurodevelopmental abnormalities including Fetal Alcohol Spectrum Disorder (FASD). NACCHO recently provided advice to mothers that included practical advice and assistance with breastfeeding, nutrition and parenting, monitoring of developmental milestones, immunisations status and infections controls in 85 health service sites in remote, regional and urban locations. The FASD Prevention and Health Promotion Resources worked and did help to reduce the impacts of FASD in Aboriginal and Torres Strait Islander communities. The information also provided an opportunity to engage our local communities about other health issues like tobacco smoking, substance misuse and improving diets. On the ground, Through Better Start to Life campaign, our Northern Territory member Danila Dilba has recently begun offering home nurse visits, meaning Darwin children and families now have more culturally appropriate access to antenatal and postnatal care resulting in better pregnancy outcomes which is vital in the first 1,000 days of a child’s life. We now know that Mums participating in this program have fewer low birth weight babies, higher rates of breastfeeding and very high infant immunisation rates. We are also seeing women accessing antenatal care earlier in their pregnancies. As you are aware a key component of improving pregnancy outcomes is early and ongoing engagement in antenatal care through culturally appropriate and evidence based care suitable to the local community. Investment in the early years is the best way to improve disadvantage over the longer term. 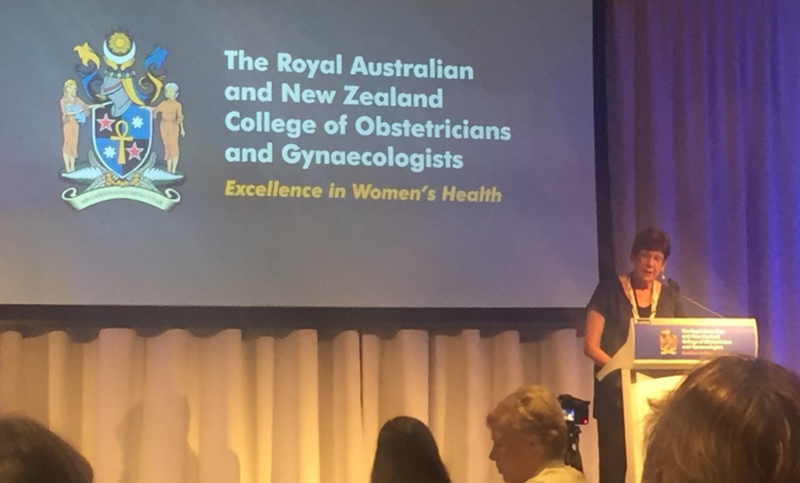 RANZCOG and NACCHO members understand this, evaluations have shown success in improving uptake of care earlier in pregnancy, for the duration of the pregnancy and in post-natal care allows other opportunistic healthcare interventions, such as family planning, cervical screening and improving breastfeeding rates. So, by wrapping services around families, locally focused programs like this are also important in helping guard against the development of chronic conditions in later life, such as rheumatic heart disease and kidney failure. While in Alice Springs, the Central Australian Aboriginal Congress is targeting at-risk Indigenous children before they even start preschool. The Preschool Readiness Program has up to 10 places for children between the ages of three and four who have been identified as having developmental delays or come from challenging home environments. The foundations for health are laid early in life and there is much to be done in the early years to give our kids the best chance of succeeding at school and throughout their life. If services cater for their needs, Aboriginal women will use them. However, not all Aboriginal women have access to these programs and many still rely on mainstream services such as GPs and public hospital clinics. That’s why it’s so important that mainstream services embed cultural competence into health care delivery across the care continuum. 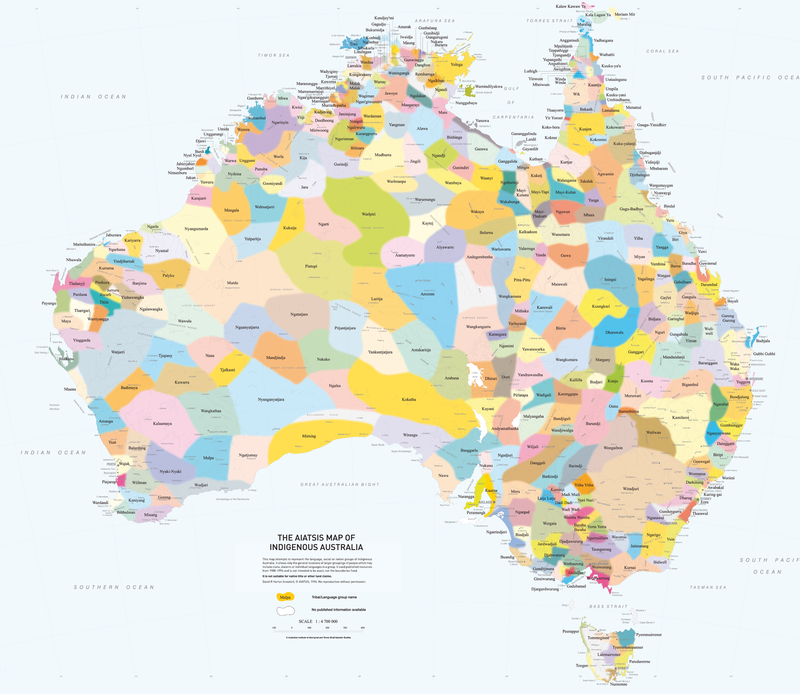 Aboriginal culture has many strengths that can provide a positive influence, such as a supportive extended family networks, connection to country, and language. This is where the community controlled health sector and Aboriginal Health Workers are uniquely placed. Our services build ongoing relationships to give continuity of care so that chronic conditions are managed and preventative health care can be effectively targeted. Studies have shown that Aboriginal community controlled health services are 23% better at attracting and retaining Aboriginal clients than mainstream providers. Through local engagement and a proven service delivery model, our clients ‘stick’. The cultural safety in which we provide our services is a key factor of our success. They can help to create relationships and understanding between our women and healthcare providers, practical assistance for attending appointments and coordinating care. Many frontline clinicians and policy makers feel it is beyond their role to deal with these issues, but understanding some of these concepts will lead to greater empathy in the interactions with Aboriginal women. We must acknowledge that Closing the Gap is not only a technical policy matter, but is also a political issue. We are disadvantaged, we are marginalised, we are poor, we do not have the numbers to influence government to the extent that others do, but we keep on trying. The statistical gaps arise from voicelessness, powerlessness and a historical and significant lack of resources. Firstly, the funding myth must be confronted as it stands like a rock in the way of progress. As my good friend Professor Ian Ring tells us the commonly held view that enormous amounts of money have been spent on Indigenous Affairs has led many to conclude that money is not the answer and a different focus is required. The recent Productivity Commission Report found that per capita government spending on Aboriginal services was twice as high as for the rest of the population. But higher spending on Aboriginal people should hardly be a surprise. We are not surprised, for example, to find that per capita health spending on the elderly is higher than on the healthier young because the elderly have higher levels of illness. Nor is it a surprise that welfare spending is higher for Indigenous people who lag considerably in education, employment and income and there would be something very wrong with the system if it were otherwise. The key question in understanding the relativities of expenditure on Indigenous is equity of total expenditure, both public and private, in relation to need, but the Productivity Commission’s brief is simply to report on public expenditure. In relation to government expenditure on health services the picture is quite different. State and Territory governments spend on average $2.6 per capita on Indigenous people for every $1 spent on the rest of the population. By contrast, the Australian Government spends $1.4 for every $1 spent on the rest of the population, notwithstanding that, on the most conservative assumptions, Indigenous people have at least twice the per capita need of the rest of the population because of much higher levels of illness. The Commonwealth, in particular, needs to do much more. This is massive market failure. The health system serves the needs of the bulk of the population very well but the health system has failed to meet the needs of the Indigenous population. And the Australian Government knows this, that’s why, for over 40 years they have been funding ACCHSs because they know the evidence shows these services better meet those needs, but the coverage of these services is patchy and needs to be expanded. Secondly, Aboriginal communities need to be properly resourced, and Aboriginal people need to be in control. Let’s put Aboriginal health in Aboriginal hands. It is imperative that a person’s health be considered in the context of their social, emotional, spiritual and cultural wellbeing, and that of their community. We know that being able to better manage and control your own affairs is directly linked to improved wellbeing and mental health. This is why Aboriginal Community Controlled Health Services are essential to closing the health gap. Often Aboriginal people are uncomfortable seeking medical help at hospitals or general practices and therefore are reluctant to obtain essential care. For example, the policy of forcibly removing children from Aboriginal families until the 1960s may still engender distrust of the ‘system’ in Aboriginal mothers. Access to healthcare is extremely difficult due to either geographical isolation or lack of transportation. Many Aboriginal people live below the poverty line so that services provided by practices that do not bulk bill are unattainable. The most well-intentioned mainstream services struggle to provide appropriate healthcare to Aboriginal patient’s due to significant cultural and language disparities. Aboriginal Community Controlled Health Services bridge these gaps. Their focus on prevention, early intervention and comprehensive care has reduced barriers to access and unintentional racism, progressively improving individual health outcomes for Aboriginal people. And thirdly, greater access to education, employment and participation in the economy. So, for those three reasons, NACCHO continues to call on the Australian Government to invest in the expansion of the Aboriginal Community Controlled Health Services, to reach more people living in isolated areas, and to provide more care options for women, including mental health and psychology services. Recently NACCHO, RANZCOG and other college Presidents met with the Minister for Indigenous Health and other ministers in Canberra who are all determined to do everything possible to close the gap in health outcomes. Now your stated mission is in providing excellence in women’s health. Well let’s do that by including Aboriginal women with new practical measures advocated to government and policy makers. By all means let us together develop new statements and guidelines, by contributing effectively to health policy debate, in providing representation on various external committees and advisory groups, and responding to requests for submissions with expert evidence-based opinion. Together lets us continue to drive policy development for the betterment of all women’s health with a view to developing a set of policy imperatives that must be addressed by Governments. It is through Aboriginal community controlled health service delivery that we can best close the gap. But we need your assistance. We need your help with community-developed programs, that accept our cultural beliefs and traditions about health issues like contraception, termination, or pregnancy. Currently Sexually Transmitted Infections rates have increased; the current syphilis outbreak has now reached four states predominantly infecting 15-29-year old’s with 12 cases of congenital syphilis causing five deaths. In this day and age this is unacceptable! NACCHO seeks your assistance to insist on regular STI testing, a national public STI education campaign, with enhanced and clear antenatal guidelines, supported by a workforce with mobile local team’s conducting health checks and testing for other STI’s like gonorrhoea, chlamydia, HIV, Hepatitis C and B. This is the best way for you as individuals and organisations to contribute to improved Aboriginal women’s health outcomes and wellbeing. As a group of 100 pioneering passionate women I know we have all earnt the accolades, enjoyed the press coverage and have a certain status in life. Let’s make a difference by today by being outspoken advocates for Aboriginal women and inspiring the next generation of women to not ask but demand better access to health care. Aboriginal women are the best advocates and leaders for health and wellbeing in their own families and in the broader community. Please help bring about change, please make a contribution to improving the lives of Aboriginal women by lobbying governments. We need your capabilities and skill, the energy and drive to make an impact, your commitment of time to our cause, your ingenuity and passion. Help us by proving to be effective role models, mentors and influencers for the next generation of Aboriginal female leaders. I hope that today is seen as an opportunity to reflect on these vital Aboriginal women’s health issues. I urge you to act and commit to real sustainable practical change. Don’t wait for government, don’t wait for them to provide the solutions. Work it out ourselves and just move on. So, to all you people here today I invite you to get in touch with your local Aboriginal Controlled Health Services and our Aboriginal health workers and to all your policy makers you can call me at NACCHO. 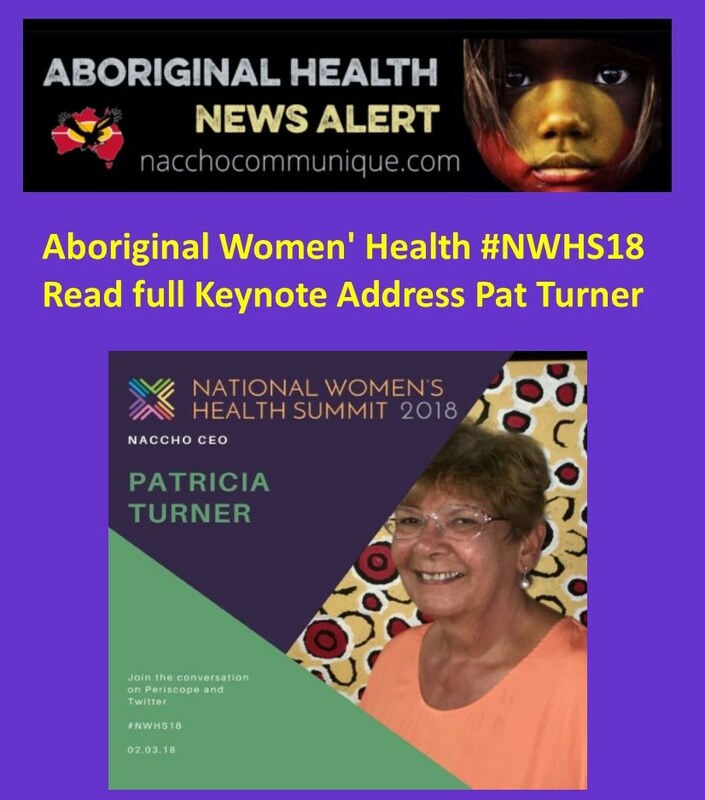 I have lost count of the number of speeches I have given over the years on this subject regarding Aboriginal women’s health to numerous gatherings, meetings, conferences, roundtables and symposiums. I will continue to speak for up all of our sisters, aunties, mothers and grandmothers. I don’t expect or desire any consensus today but I expect robust discussion leading to identify policy reform that can be implemented. We must advocate for more action, adopt new policy positions and increase investment in the Aboriginal community controlled sector. I know that the fight for Aboriginal rights continues and that the future is looking brighter for our mob with your support. Thank you again for having me here today and I welcome any questions that you may have.